Heart of Pitsea in the news! A number of Heart of Pitsea resident members and their children, along with family members from our Wednesday Youth Club, went along for a photo shoot set up by Basildon Borough Council, to launch our investment in the fabulous new outdoor facilities on the Winifred Road recreation ground and also at Elm Green. 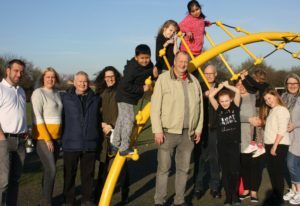 The exciting joint project between us and Basildon Council, includes swings, climbing frames and slides at the Winifred Road recreation ground alongside a specially-designed outdoor gym. An additional outdoor gym – complete with an air walker, rower and balance beam – had also been installed in nearby Elm Green. Further improvements, including the installation of five-a-side and nine-a-side football goalposts, will be funded by Basildon Council. 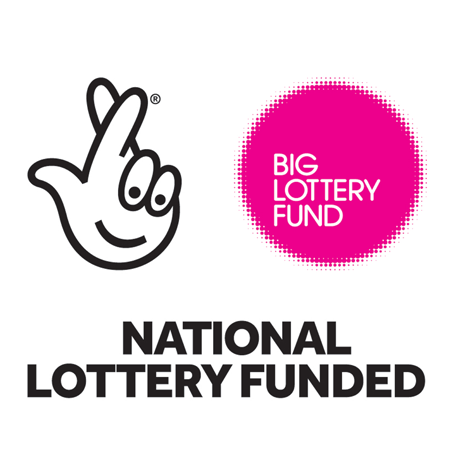 The overall project will cost a total of £132,000 to complete, with the majority of the works funded by Heart of Pitsea through a contribution of £104,00 from the Big Lottery Community Fund. 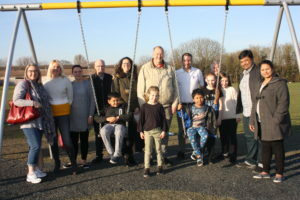 Cllr Kevin Blake, Chairman of the Leisure, Culture and Environment Committee, said: “Residents have been involved throughout this improvement project, having told us that they wanted new outdoor facilities for the whole family to use. It is a great example of partnership working, and I would like to thank Heart of Pitsea for making this happen”. 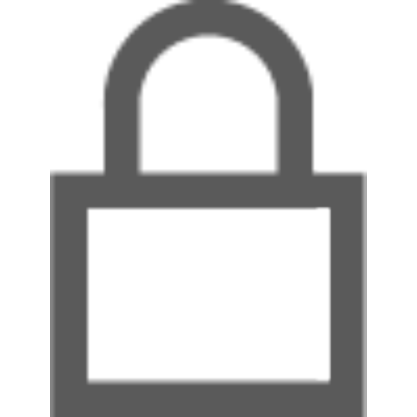 Thanks to Basildon Borough Council for permission to use the images.